The Center for Disease Control (CDC) estimates that approximately 36% of visits to emergency rooms annually are considered preventable and can be attributed to slip and fall accidents occurring in nursing homes. Additionally, the CDC reports that in an average-size nursing home (100 beds), between 100 and 200 falls will be reported each year. Many cases of falls go unreported. Individuals in nursing homes — whether they are ill or elderly — are at a high risk of critical injury if they fall. 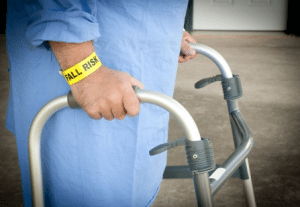 It’s crucial to explore how a nursing home may be held legally responsible for slip and fall accidents that occur in their facility. Many people attribute patient falls in nursing homes to conditions that the patient has — such as limited vision, dementia, reduced mobility or taking medications that cause dizziness or poor balance. However, nursing homes are responsible for taking these issues into account for their patients and should take proper precautionary measures. Hand or guard rails should be installed in appropriate places. Toilets and beds should be set at an appropriate height. Mobility aids, like walkers or wheelchairs, should be used for patients who need assistance. While cases of limited vision or medications that cause dizziness can contribute to a fall, nursing homes have an obligation to ensure patients with mobility issues are provided with safety mechanisms specific to their condition. If you or a family member were hurt in a slip and fall accident in a nursing home, you may be able to obtain financial restitution for the damages caused by the fall. However, it must be proven by a preponderance of the evidence that the injuries were caused directly by the fall and the fall was caused directly by the negligence of the nursing home in question. Shulman Rogers can help. Contact us today for a consultation at 877-229-1515.